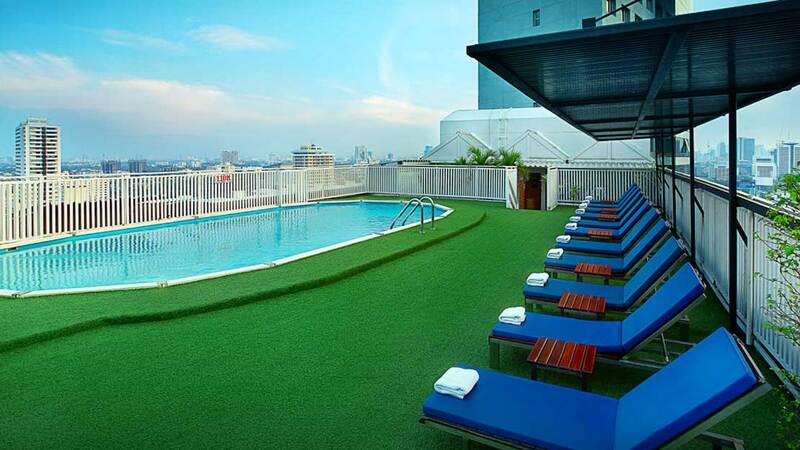 Situated in the bustling centre of modern Bangkok, the elegant Cha Da Hotel offers a superb base to explore everything this buzzing city has offer. The contemporary rooms are perfectly fitted for families, friends and business travellers alike, with stylish Thai décor and a handy selection of amenities. Indulge in a delicious buffet breakfast, with local specialities assuring a delightful start to the day. This hotel features a number of creature comforts to help you relax. Retreat to the rooftop swimming pool for impressive views across the city, while you take a refreshing dip away from the humidity below. Vimala Spa is the next stop to immerse yourself into a sanctuary of wellness, with a variety of healing treatments to enjoy. With body and mind revived, you’ll be ready to set out again to discover the exciting sights, sounds and aromas of this eclectic metropolis. As a comfortable base to start a Thai adventure, Bangkok Cha Da Hotel is a refined choice that’s friendly on your budget. 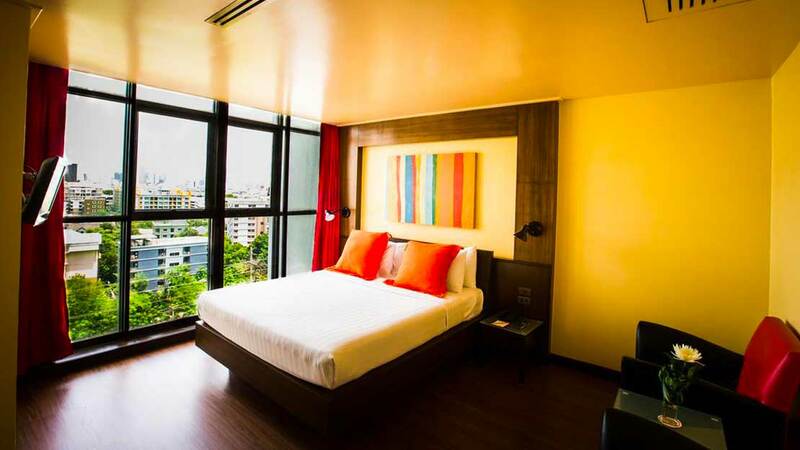 Bangkok Cha Da Hotel is based in the modern part of the city, with an array of eateries in the nearby area. The Thailand Cultural Centre is about 850m away, and Rod Fai Night Market is just a bit further in the same direction. Huai Khwang metro station is within 700m of the hotel, making it very easy to get around the city. To get to the centre of Bangkok, where many of the touristic sights are located, takes approximately half an hour on the metro. Suvarnabhumi Airport in Bangkok is approximately 25km from Cha Da Hotel. It’s possible to take the metro from the station to the hotel, which takes about 50 minutes.